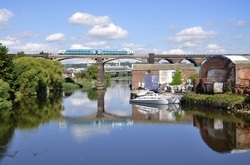 The 8A RAIL website was set up many years ago to promote the rail area of Liverpool, Merseyside and North Cheshire which tends to be overlooked by rail enthusiasts and photographers compared with other parts of the country. I am never sure why this has been the case but there is considerable passenger and freight traffic that originate’s, finishes and passes through the area along with a great variety of different TOC’s / FOC’s, locomotive classes and diesel / electric multiple units, probably more than most area’s outside of London. Add to this, there are some excellent viewing and photographic locations too, although with the progress of time, especially since 2015 some locations have been lost to the long overdue electrification of the Liverpool and Manchester line but still does not detract from what is on offer in the area covered . 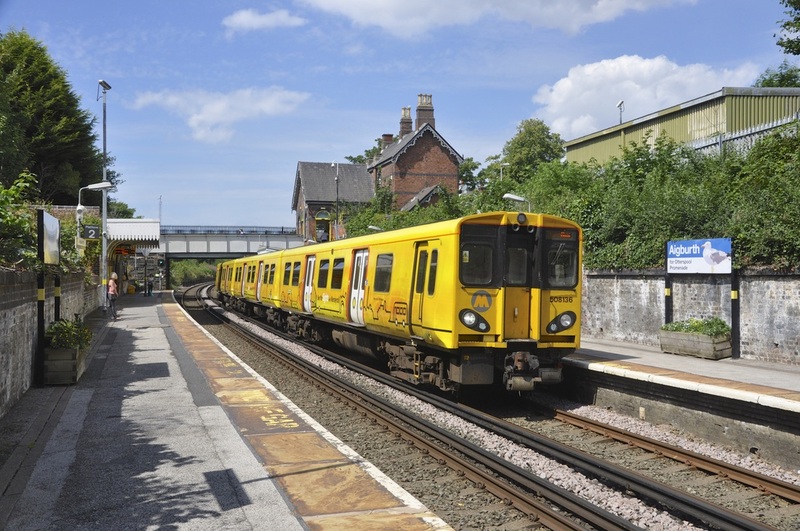 In the meantime, a book has been released in April 2018 by Amberley Publishing Ltd entitled 'Merseyside Traction' by ​8A RAIL which gives a broad pictorial overview of the various motive power, liveries and locations within the Merseytravel transport area over the last 20 years. 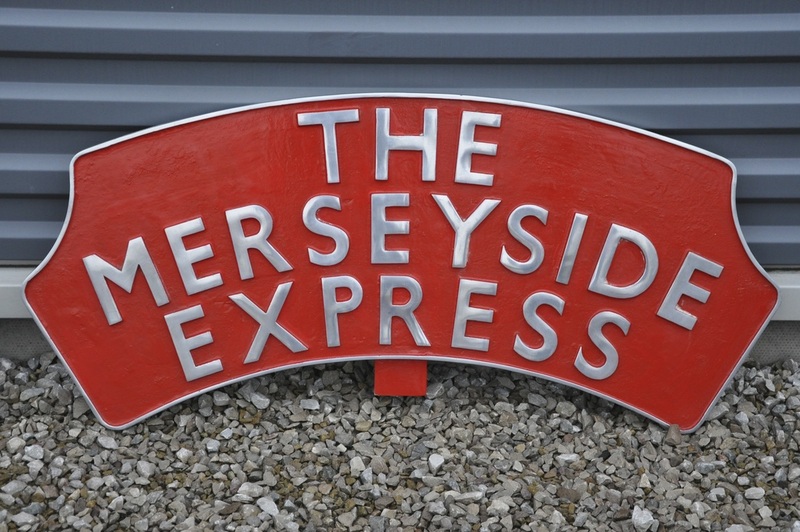 Please click on this link - Amberley / Merseyside Traction for further information and availablility. Also it is available at some book sellers and online. such as Amazon, WH Smith etc. The 8A RAIL area boundaries stretches from Southport, Ormskirk, St Helens, Newton le Willows (WCML), Warrington, Widnes, Runcorn, Northwich, Helsby, Hooton and the Wirral. Within this area there are numerous mainlines including WCML, the L&M line and CLC line’s to Manchester, LNWR London line to Crewe, Frodsham / Helsby line , as well as the Low Level line between Widnes and Warrington. Added to that, you have also the self contained Merseyrail 3rd rail system, so you are not short of motive traction and livery variety. Please note ALL information on 8A RAIL is provided in good faith and as a general guide only. All trains as you may appreciate are subject to alteration or even cancellation therefore no guarantee is made that any train services will operate due to numerous outside factors. Finally, when observing and photographing trains, please remember to obtain permission to gain access to private property and do not trespass on the railway as you will be putting your life and other people's life's in danger. If you require further assistance or you may have useful information to assist this website, please do not hesitate to contact the website owner via the e/mail link at the top of this page. Within the 8A RAIL website, there are sections covering both Passenger and Freight trains, mainly via “links” to the various TOC’s that operate in the area along with other public / private information websites. There is also Freight Timetable section covering a few “hotspots” with in the 8A RAIL boundaries which will be updated once / twice a year, along with a photographic guide to some of the mainlines. 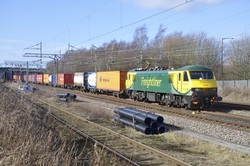 There is also a Photo Gallery which has a selection of current images covering various Merseyside and North Cheshire locations were photographing mainly freight and occasional passenger trains is possible. To view other images from my extensive collection, I have two “flickr” image sites, one covering the last few years simply called 8A Rail and the other, under the name of the 8A Collection, covering many train images from the UK and other countries I have visited since 1980 upto 2010. There is also a third “flickr” site which is dedicated to my other photographic activities covering non rail related subjects entitled 8A Rail Other Images. To access the photo sites, just click on the title names which will take you to another page.